Welcome to Photonic Devices, Inc.
Photonic Devices, Inc. is a U.S. 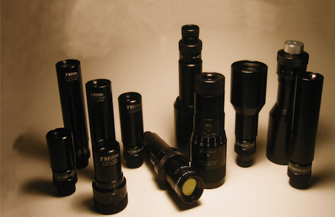 Manufacturer of Precision Optics, Optical Assemblies, and Mechanical Components. This package is a listing of Photonic Devices, Inc.'s standard products. All of these products have started with a customer request so if you do not see exactly what you need, give us a call, send a fax or e-mail. Please use our knowledge and experience. Contact us today and speak with one of our experts at (561) 573 6533 or (800) 335-5582.